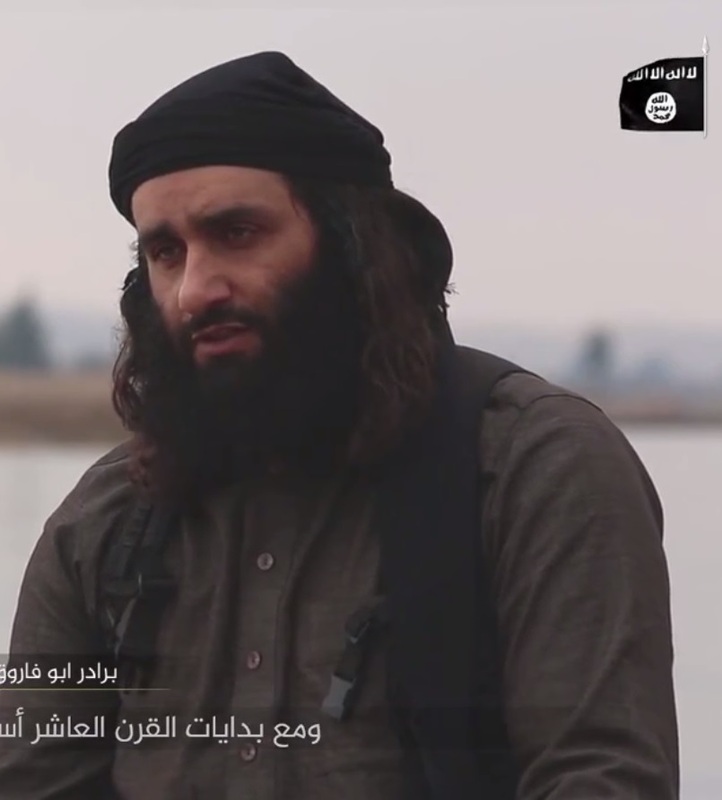 On March 27, the Islamic State group released a rare Farsi-language video threatening Iran. The nearly 40-minute clip, issued on social media by the group’s Diyala Province in neighboring Iraq, is titled “The Farsi Land: From Yesterday ‘till Today.” The Islamic State (also known as ISIS, ISIL or Daesh) accuses Iran of being a repressive state that persecutes Sunnis while providing protection for Jews and cooperating with Israel and the United States. The clip clearly expresses the organization’s goal to conquer Iran and make it Sunni, as it was in the past. The video presents a distorted version of Iran’s history beginning with the Arab-Islamic conquest of the Sassanid Persian Empire using original footage, film clips pilfered from other sources and computer-generated animation. The Farsi-speaking fighters who speak on camera appear to be Iranian Baluch, Kurds or Arabs. They are apparently from a new brigade named after Salman al Farsi, a Persian who became one of the Prophet Muhammad’s first followers. ISIS’ hostility towards Iran is not surprising given that Iran has been heavily involved in the fight against ISIS through its military support for Syrian President Bashar al Assad. After ISIS reportedly came within 25 miles of Iran’s border with Iraq in 2015, Iran deployed more military advisors to Iraq to help fight the extremists. Additionally, Tehran has supported Shiite militias fighting alongside the Iraqi army to liberate ISIS-held territory. Iran has also announced its dismantling of ISIS cells operating within its borders. The following is a rundown of the ISIS film’s content. The video opens with a view of the holy city of Medina (located in modern-day Saudi Arabia) and explains the state of the Middle East just prior to the advent of Islam in the 7th century. “Disbelief and injustice spread across the land,” says the narrator. The film discusses the Sassanid Persian Empire and depicts the state religion, Zoroastrianism, as an idolatrous faith based on fire worship. Zoroastrians, in reality, view fire as a symbol for God’s light and wisdom, and share many basic beliefs with Judaism, Christianity and Islam. The next section of the film covers the 1979 revolution against the Shah and subsequent establishment of the Islamic Republic. It criticizes the system of government which placed Ayatollah Ruhollah Khomeini in the powerful position of supreme leader. It describes Iran as a “repressive Persian state” that has become a refuge for non-believers and apostates and accuses it of exporting Shiism and its revolutionary ideology to Africa and Asia. Later, the video criticizes Iran for allowing Jews to live and worship and maintain synagogues. It also displays gruesome photos of men being hanged and condemns the government for allegedly killing thousands of Sunnis. 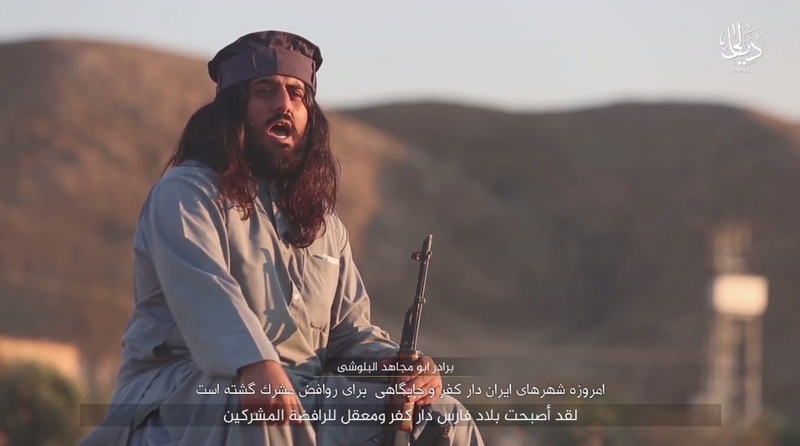 ISIS calls on Iran’s Sunnis to revolt against the government. The video also contains footage of prisoners who appear to be from the Iraqi army or Shiite militias engaged in the fight against ISIS. At one point, a masked man addresses Supreme Leader Ayatollah Ali Khamenei directly. He calls him a “cursed person” who controls the “so-called Islamic” regime. “Rest assured that soon we will destroy your house like this,” he says pointing to ruins in the background. In the last scene, Abu Mujahid al Baluchi says that ISIS will conquer Iran and restore Sunni Islam there.